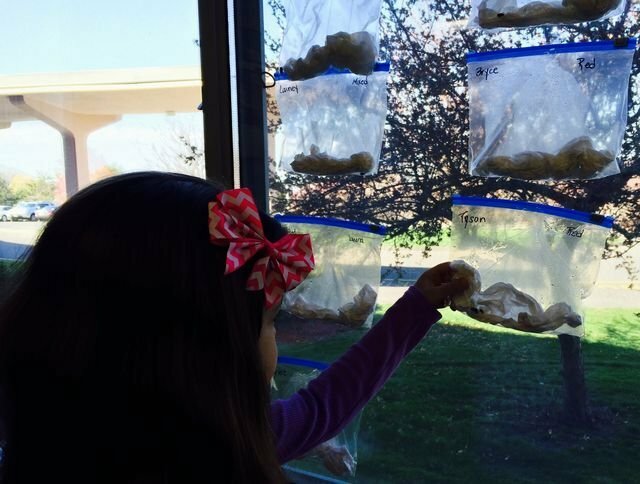 Mrs. Couture's class at Wakelee School is attempting to grow plants in a bag. The experiment attempts to grow plants using no soil. The seeds have been soaked and wrapped in paper towels, them hung on the window for plenty of sunlight. Some of the seeds are already beginning to sprout!